Put a new spin on an old game using Krylon®. Sand each piece of wood to ensure the surface is smooth and splinter free. Use a dry towel to remove any leftover dust. Cover a large flat surface either outdoors on in a well ventilated area. Separate blocks into two groups of twenty seven, and line them up into rows such as dominoes. After reading product label for proper application and safety instructions, spray the first group of blocks using Krylon® Shimmer Metallic in Candy Apple Red. Allow time to completely dry. 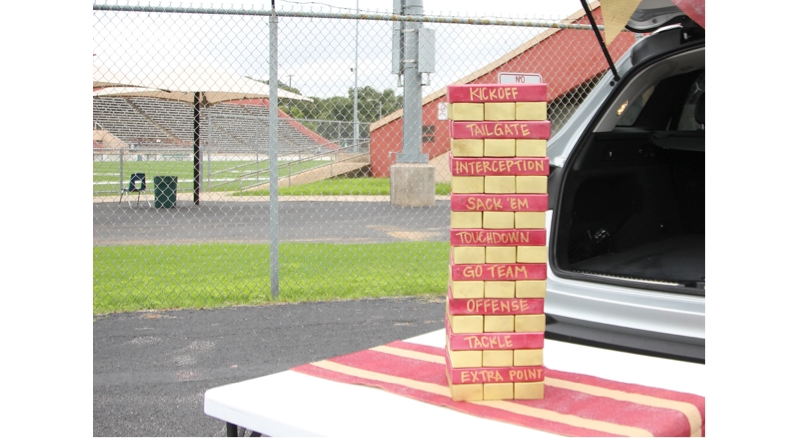 Spray the second group of blocks using Krylon® Premium Metallic in 18 kt. Gold. Allow time to completely dry. Once Candy Apple Red blocks are completely dry, begin writing desired words or quotes directly onto blocks using the Krylon® Leafing Pen in 18 kt. Gold.